There I was, lazily sitting on my parent’s comfy sofa in their Atlanta home a few weeks ago. I was watching old NBA highlights on YouTube when, unexpectedly, my father’s brother walks in through the front door. My cool uncle. After greetings, he led our conversation through such topics as life, dating, and then he somehow switched to Joel Osteen. I was shocked! Apparently, he had read a blog post I wrote over a year ago on Osteen’s teaching and my uncle has had a few reservations since then. Though my uncle does not fully agree with Joel Osteen’s ministry, he wanted me to understand that his teaching is not wrong because still does large amounts of good and gives purposeful drive in people’s lives. I then brought up many of the points that I wrote in my past blog post, here. We continued on until he asked a certain question that I was unable to give a solid answer to at the time. 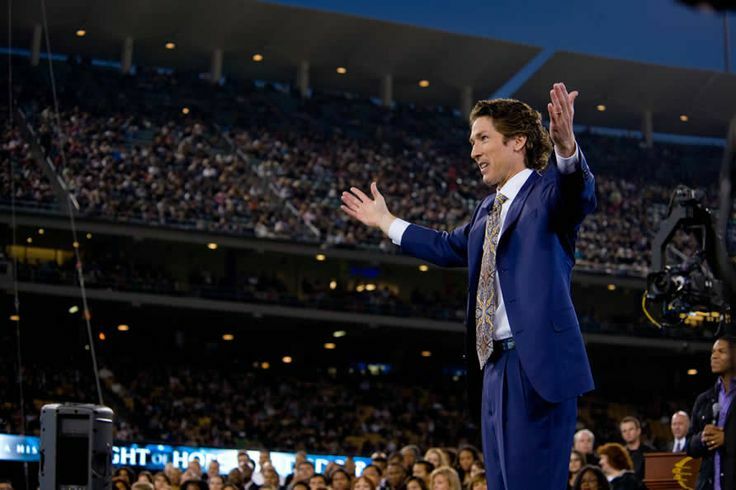 That question is what I will now address: He asked me… how do I know that what I am saying IS correct and what Joel Osteen is saying is NOT correct? Now there are two ways to hear his question. He was not “entirely” asking me to biblically show him proof for which preference gives a governing, correct version of God’s message – though that is possible and has been done numerous times before. His question is for the breakdown of a fundamental rule(s) of how a particular person can come to know that whatever he or she believes – within a particular society, system, doctrine or group – governs over a different belief, within the same context. Well, to my handsomely cool uncle, the answer involves four aspects: facts, intuition, reasoning, and authority. When you take what you believe and find that (1) the facts are clear and undisputed, (2) your basic intuition is undoubtedly intuition, (3) your reasoning which connects this intuition with the particular belief is strong, and (4) you are in agreement with humanly or divine authority; then there is a good chance that you are correct and you can trust in your warm blanket of thought. The more that each of these 4 factors is not met, the more you can conclude that your belief is probably wrong. As to the Facts. It is agreed among everyone that happiness, wealth, and health are beautiful gifts. Lets say that the prosperity gospel is true. If this is so, then overseas missionaries should be getting the best treatment from God. If belief in God were numerical then no one would have earned more points than a martyred missionary. But the fact that they are killed for their faith to begin with goes directly against the promise of prosperity teaching. That argument/teaching collapses. The same goes with most people in the Bible. Jesus called John the Baptist the greatest man alive. A few verses later we see John The Baptist being beheaded. It seems that any prosperity preaching is more so a rhetorical account of someone who is already in a prosperous position … likely a pastor. Therefore this teaching isn’t based on fact because it is barely an observable opinion. As to Intuition. Intuition would be the ability for our mind to perceive self-evident truth. If A equals B, then anytime you have A then you should have B as well. If being a Christian and fully trusting God to give you prosperity works, then it should always work. Since most Christians, historically and today, die without ever having prosperity then it seems that prosperity and Christianity do not go hand in hand. Such an opinion is highly improbable of being true. As to Reasoning. Proving the prosperity gospel is a means to an end. In order to give the teaching a firm and sustaining foundation its reasoning must always work backwards. You must start with the end that you want, and then you work it backwards to fit the Bible in. So you work in a few things Jesus said; but only a few. You’d omit his teachings on salvation, hell, sin, and even omit mentioning his death on the cross. Because you’d want more members and just mentioning a guy being beaten bloody and nailed onto a tree isn’t a crowd pleaser; catch my drift. Then you’d re-word a few of his verses to fit your style (something Joel Osteen has said that he does). No one starts fresh with the Bible and concludes with the Prosperity Gospel, you must start in reverse… because the end must always be the same. That is how you can have people speaking believable heresy; since the lines can be constantly moved to maintain their preferred end. Still, why can’t we keep prosperity teaching AND include the whole meta-narrative of the Bible? You cannot because the latter portion would directly interfere with sustaining the foundation of the end goal of the prosperity portion. Each book of the Bible rubs against prosperity teaching. With this reasoning piece we must always be careful that we do not have a passion swaying our mind. We are always liable to be corrupted by our passions when we are considering truth and falsehood. When a popular sports athlete gets in trouble, sometimes we’ll side in their favor not because they are innocent but because they are on our favorite team. Do you read for yourself that Jesus wants you to have financial blessing? Or do YOU just want to have financial blessing? I think I remember verses cautioning on that. As for Authority. Since his question is not for the Biblical answer, we can leave out divine authority for now and just address human authority. The prosperity gospel has only been around in the past 70 years. Therefore, we’ve found something new under the sun that was not taught by any of the apostles nor by any of the old church writers. We would then have to say that we have found something that the Apostle Paul was not aware of. We would find that Augustine, Blaise Pascal, Charles Finney, John Calvin, Leonard Ravenhill, Thomas Aquinas, Jonathan Edwards, and the writings of many others are against us. We would not be able to find any literature to back us up that is dated before the 1960s. Whatever authority we find 2000 years prior to the 1960s would not mention the prosperity gospel. Surely we could not have been so far incorrect all those years. Somehow we were always intellectually off until this recent generation of fast cars and Facebook. That basic assumption is flawed in itself. With that said, human authority does not seem to line up with the prosperity gospel either. So, Uncle. That is my answer to your question. I pray this helps. I love you.